We love a good home spa! The great thing about giving yourself skin and facial treatments at home is that you can choose between store-bought products, or head to the kitchen and whip up something natural to use. And then of course, there's the fact that you can stay in your comfiest pyjamas for the whole experience and just enjoy your favourite guilty pleasure TV show. 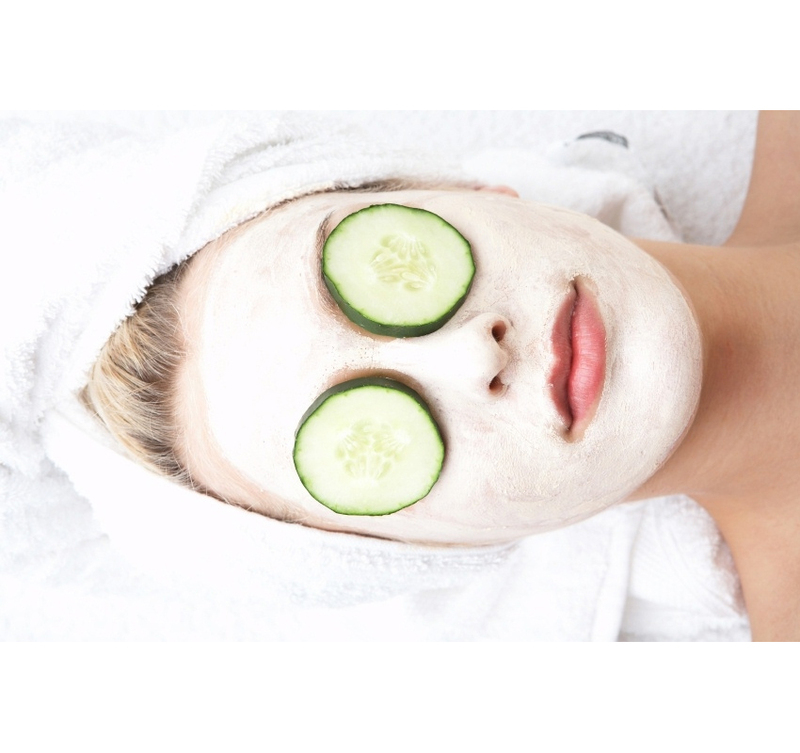 When we picture a home facial, we think steaming, exfoliating, a good clay mask... but it can be confusing to remember the right order for all these steps! Well, we're here to help! Start off by cleaning your skin of everyday dirt and grime so that you can start with a fresh canvas. Try a pre-made cleanser, make your own, or just use honey -- it's a wonderful, toning, moisturizing, gentle cleanser! Use your favourite makeup remover for any eye makeup, or try coconut oil. This is the part where you give your face and neck a good, gentle scrub to remove any dry or dead skin cells that cleansing didn't get. Making your own natural scrub is fun, or you can use a pre-made scrub. For a very simple and gentle scrub, add just enough milk to a small bowl of sugar to moisten. When applying to skin, remember that there is no need to use muscle on the delicate skin of your face and neck. Simply massage the product into the skin, gently, let sit if instructed to do so, and rinse with warm water. This step helps the skin to perspire and breathe; delivers moisture to deeper skin layers; brings oxygenated blood to the surface of the skin; and encourages the release of toxins. Steaming will also dislodge sebum, dirt and makeup from pores for easy removal (coming up!). Alternatively, you may use dried herbs, steeped for five minutes before your steam, as outlined in Organic Body Care Recipes by Stephanie Tourles: combination of 1 tsp calendula blossoms/1 tsp chamomile flowers/2 tsp raspberry leaves/1 tsp peppermint for all skin types. Follow up your facial steam with a gentle facial massage with a nourishing facial oil or serum (you want a good amount of "slip" here to help your fingers glide over your skin). Choose from a French Facial Massage or a more general facial massage like this one. Adapted from The Complete Book of Essential Oils & Aromatherapy by Valerie Ann Worwood. Now that your skin is cleansed and primed, it's time for a skin-tightening, impurity-sucking facial mask. Again, use your favourite pre-made mask or mix up your own from scratch based on your unique needs. Smooth a thin layer over the face, neck and décolletage if you wish and leave for 15-20 minutes or until dry. Rinse gently with warm water (the shower or a warm wash cloth work well for this). Follow up your purifying mask with a pH-balancing and hydrating toner. We sell a variety of toners that are appropriate for a range of skin types, but hydrosols and witch hazel also work well. Or, mix up your own custom toner using the recipes found here! This step is optional, but a serum can be very nourishing, especially for aging or damaged skin. If applying serum, this is the time to do it for maximum benefit. The final step is moisturizer. Replenish skin's moisture and reap the benefits of the anti-oxidants present in your favourite moisturizer, and leave skin protected and feeling soft and supple. Now your skin should be feeling purified and refreshed and you might even notice a glow! To enhance the replenishing effects of your home facial, try diffusing your favourite calming and/or uplifting essential oil and drink plenty of water (perhaps infused with cucumber or lemon)!